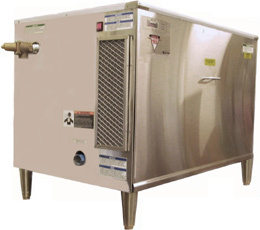 The PowerMaxTM high-efficiency reliable BOOSTER HEATER is designed to quickly raise 1000 - 1400F hot water to the 1800-1900F temperature range required for sanitizing dishes, crystal and cutlery in commercial dishwashers. 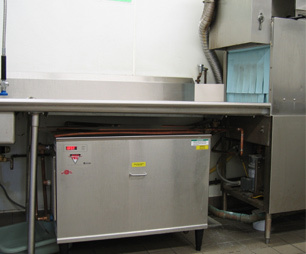 Advanced Burner Technology provides 360 deg of high energy Heat Transfer. Continuous LED Temperature Display and Diagnostics. 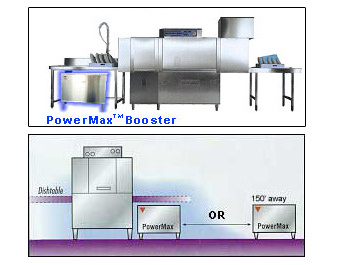 PowerMax can be installed up to 150’ away from dishwasher or next to it under the table.